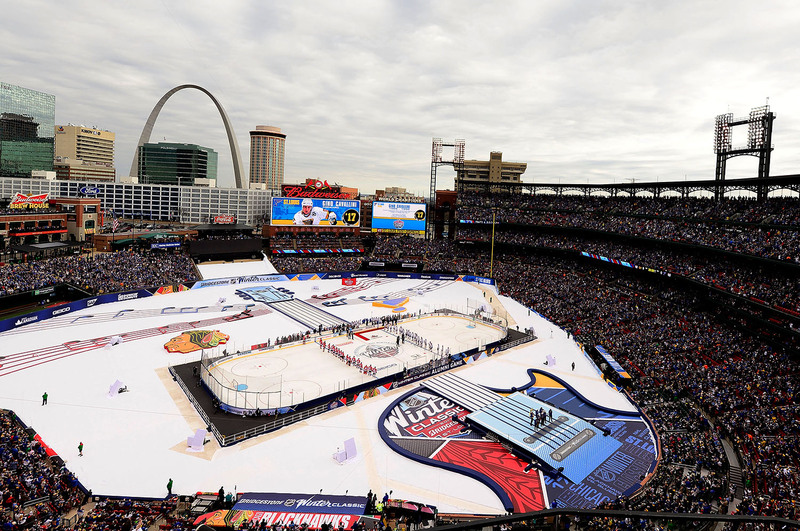 The NHL has been bringing hockey outdoors on new year’s day for the last 11 years now, and design has played a huge part in the annual event. 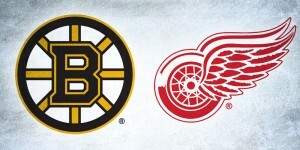 Ever since its inception, each Winter Classic has had its own visual identity, inspired each year by the venue and history of the teams taking part. It’s been an aesthetic treat for fans to immerse themselves in every part of the curated visual experience, starting before even setting foot in the stadium with the ticket design. Once an underutilized medium for design, some teams have begun to leverage paper tickets as an extension of their brand, most notably the Maple Leafs and the phenomenal execution of their centennial ticket design. While the Winter Classics are only one-off events, like the Leafs did in their centennial season, the games’ tickets have served as a valuable piece of the visual identity. 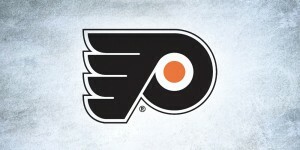 Sports branding agency Fanbrandz has been working with the NHL on Winter Classic identities since 2009, creating unique brands for each subsequent event, including the games’ tickets. 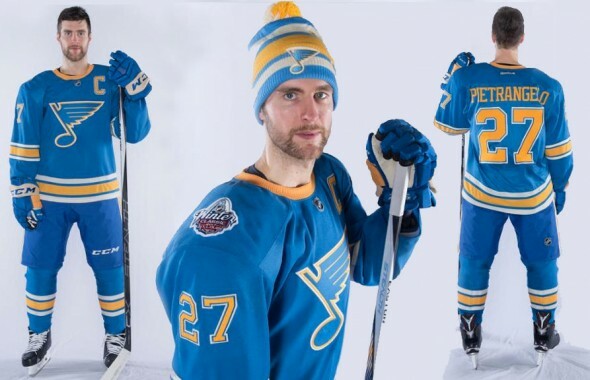 Tickets for the 2019 Winter Classic were recently mailed out, so what better time to rank the top ticket designs in Winter Classic history? Using rich details like embossing, gloss and metallic foil to make the tickets feel special, five of the designs really stand out among the bunch, so let’s check them out, shall we? 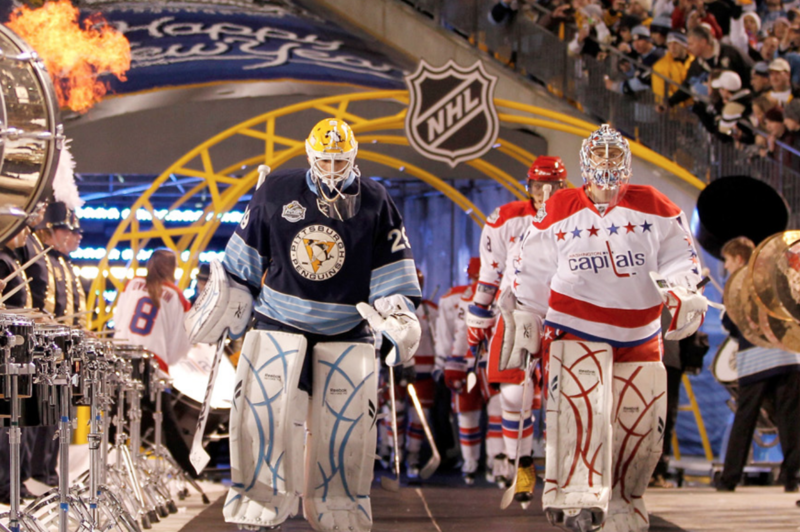 Perhaps one of the more contemporary-looking and colorful Winter Classic ticket designs, the 2011 event’s branding centers around Pittsburgh’s moniker of the Steel City. Fanbrandz incorporated the iconic yellow Fort Pitt Bridge into the logo, as well as other steel elements like the grommetted border, that together repeat themselves in the greater ticket design. The repetition of elements, like the bridge and gray borders, that really hold this brand together extend beyond the printed collateral and into the actual event design, which only bolsters the design of the ticket. The 2017 Winter Classic ranks as one of the best visually across the board. 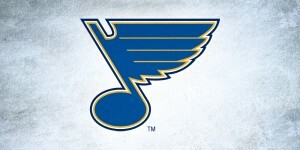 The teams’ jerseys (particularly the Blues’) were fantastic, and the views at at Busch Stadium with the guitar on the field and Gateway Arch in the background were hard to beat. Like on the jerseys, the ticket designs have a lot of great details to appreciate as well. 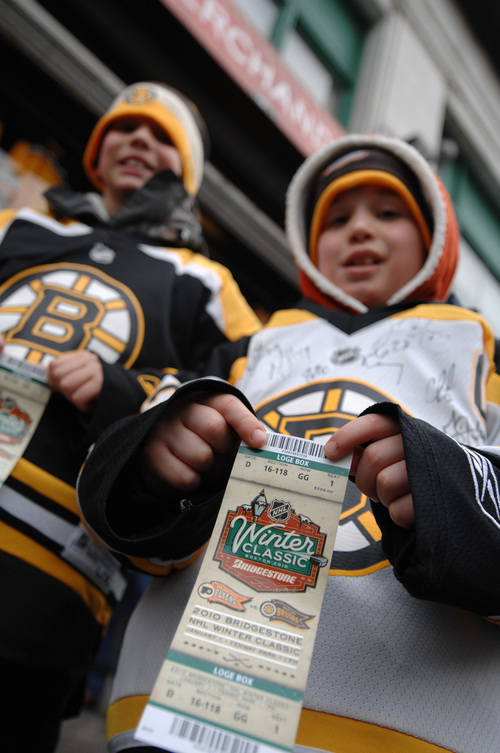 The Winter Classic has always served as a way to bring nostalgia back into the game, and the style in which Fanbrandz approached these player sketches really lends itself to the outdoor venue and feels at home with the weathered off-white background of the tickets. Inspired by the weathered signage and architecture of suburban New England in the early days of pond hockey, the brand for the 2016 Winter Classic incorporated textures like frost and wood grain along with traditional ornamentation and structural elements from Gillette Stadium. The icy hue of the ticket design overlayed on the vintage wood texture creates a really gritty (no, not that Gritty) and unique look. 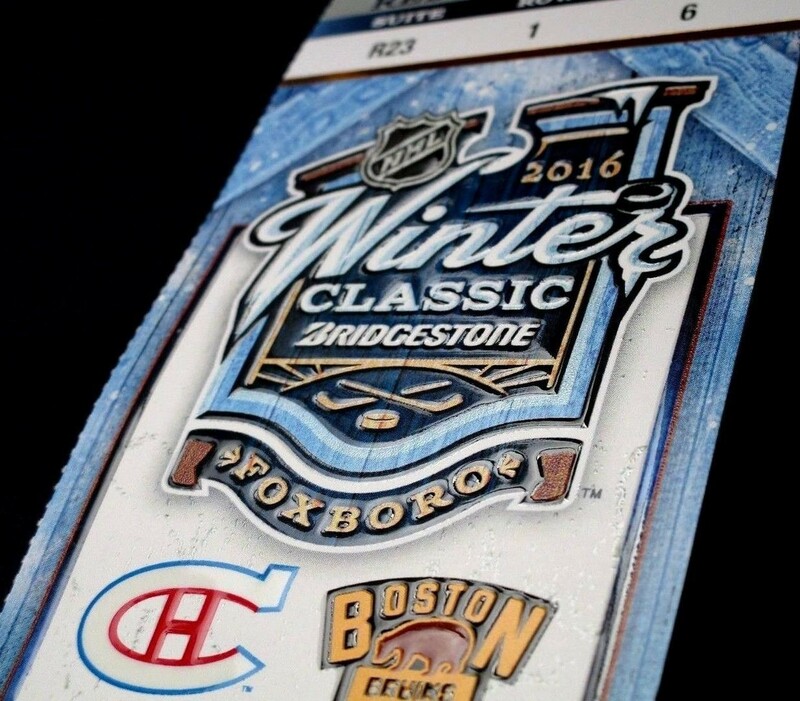 The use of embossing and metallic foil adds a richness to these tickets that elevate them to being worthy of a marquee event like the Winter Classic. For a game showcasing two of the NHL’s oldest and franchises, Fanbrandz did a great job of giving these tickets the necessary special yet modern flair while incorporating enough traditional elements to give them an authentic and retro feel. The 2015 Winter Classic in Washington, DC built it’s brand on the back of political designs from the early 1900s, and the tickets certainly reflect that. 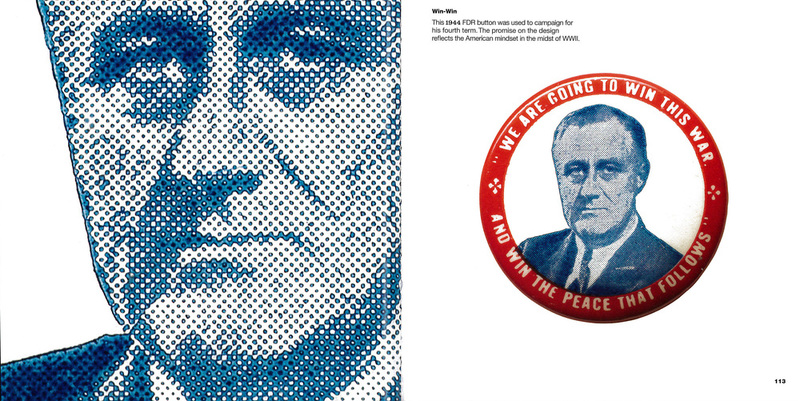 In the Fanbrandz development blog, the agency shared iconic items that inspired the event like campaign buttons and the textures of printed collateral from the days of Herbert Hoover and JFK. The vintage feel of the cream in lieu of stark white looks really rich in tandem with the red in the stripes, and the dotted pattern in the blue evokes the feeling of early printing techniques. The contrast between the more traditional color palette with the modern typography keeps this ticket looking crisp and really elegant. 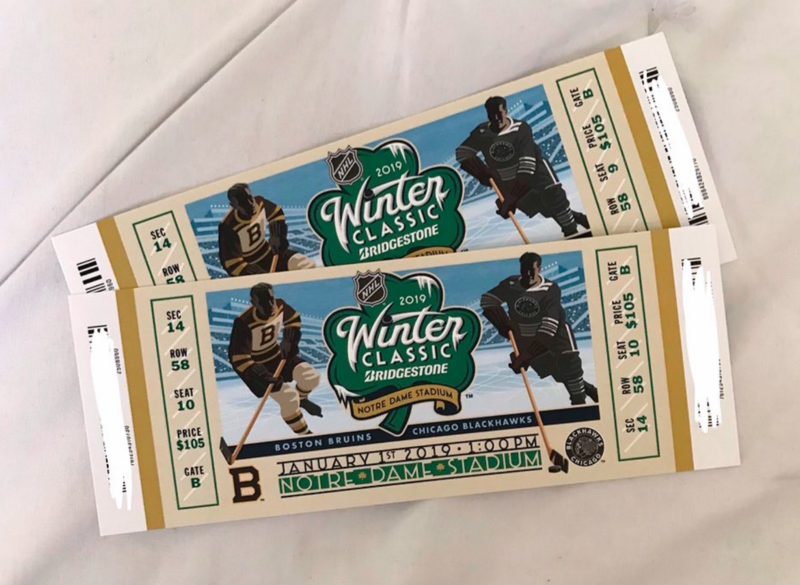 Ok ok, before anyone calls out my bias towards anything Bruins or Fenway Park-related, let’s talk about why these tickets, and the 2010 Winter Classic brand overall, were so fantastic. For an event set in the oldest ballpark in the country, Fanbrandz once again went with a vintage feel to capture the essence of outdoor hockey in such a historic setting. 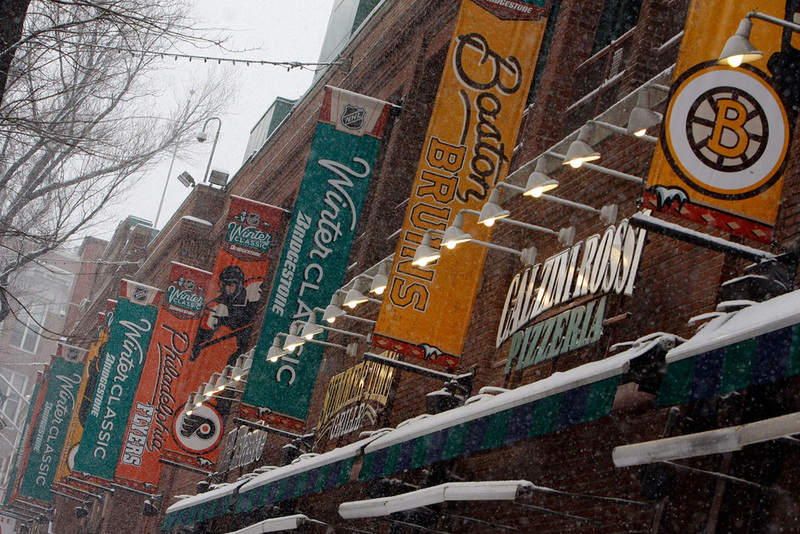 The logo itself is perhaps my favorite Winter Classic logo to date, depicting the unique green hue of Fenway’s walls along with the exterior brick architecture, all within a mark that feels classic yet fresh. The weathered texture overlaying the entire ticket combined with the metallic foil accents create a nice contrast of old and new, and the Fenway-inspired pennants with the team logos and varsity-style typography also play nicely into the vintage feel. What puts this ticket in the top spot for me is how cohesive the design is and the thoughtful consideration of every inch of the piece, from the textures in the negative space to the hierarchy of the typography. While some of the other event tickets have nice design elements, the 2010 ticket feels totally complete and incredibly authentic to the setting. It holds up next to the event signage, uniforms, and even masks for the game, which is the true indicator of a successful piece of brand collateral.